Fall Rates have begun! Fall in NEPA is one of the most enjoyable times to hit the links, and our affordable fall rates ensure you’ll experience tremendous value. Follow the link below to see our fall rates! 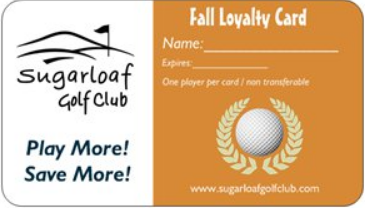 NEW for 2018 we are also issuing our Fall Loyalty Cards as part of a program that can save you even MORE! 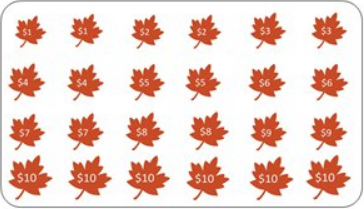 The fall Loyalty rewards our most frequent visitors with incredible discounts up to $10.00 per round and best of all they are FREE! Call 570-384-4097 to learn more, or stop into the pro-shop to get your card today!